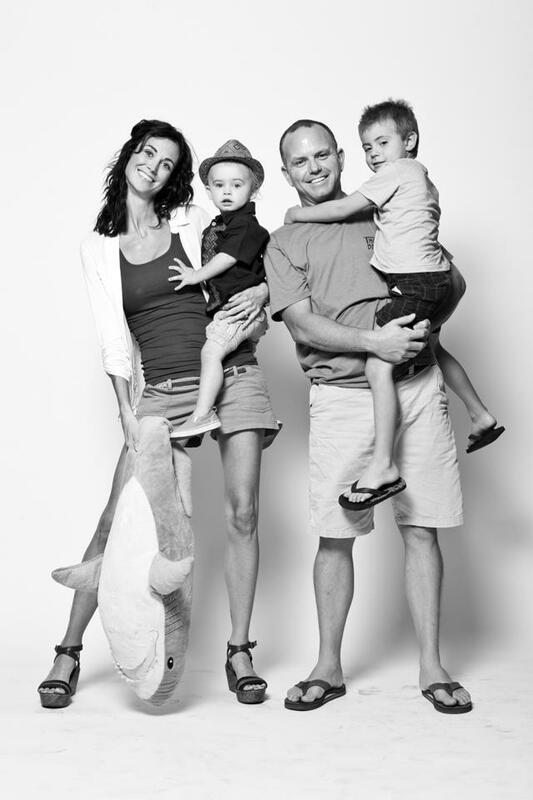 Mom Style Lab Article on Dr. Tricia Pingel – Goes to show that mom’s can do it all! Click on the link to view the original link to interview! From print and runway model to naturopathic medical doctor, Dr. Tricia Pingel is an outstanding example of how you can be a great mom and continue to pursue your dream career. Her secret? Drive and determination to accomplish her goals and a super supportive husband and family. Photo Credit: Roadway Studio Project. Photographer Ryan Nicholson. 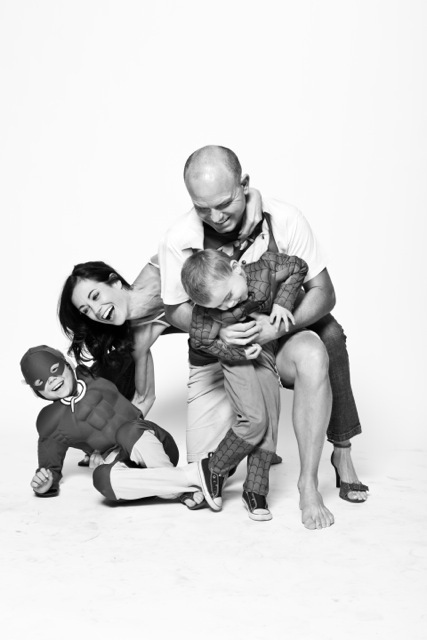 This 38-year-old, multi-tasking mom of two boys – Cameron (6) and Shea (3) – runs her own medical practice, Pingel Progressive Medicine. In her practice, Tricia focuses primarily on adrenal fatigue, hormone-related conditions and symptoms, and gastrointestinal issues. 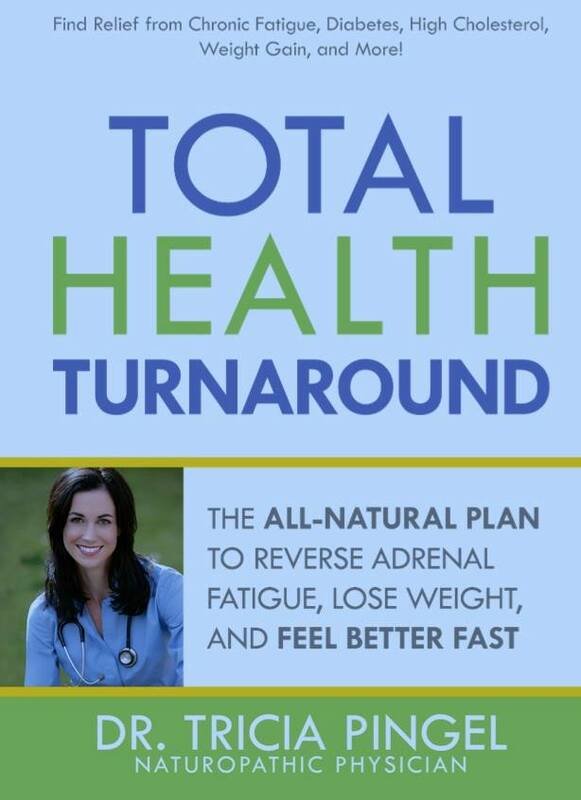 She also just published her first book, Total Health Turnaround, which focuses on adrenal fatigue. What is adrenal fatigue you ask? Well, it can be the root cause of a number of common ailments, from thyroid dysfunction and high cholesterol to anxiety and depression. Check outTricia’s website and book for details. Not one to sit still, Tricia is opening a sister company next month (August 2014) that will offer IV therapy to people who want to be well and maintain their nutrition. Tricia herself is the picture of health and happiness, as is her family, so she’s a testament to the results of her approach. Perhaps one of the most inspiring things about Tricia is her positive, sunny outlook and focus on not letting stress get to her. She shared, “I decided recently that the stress that surrounds us is not worth the worry. It is what it is and all I can do is do my best. You will never please everybody, nor can I expect to always be pleased.” So true, Tricia, so true. Clean, long, elegant, eclectic, and edgy. 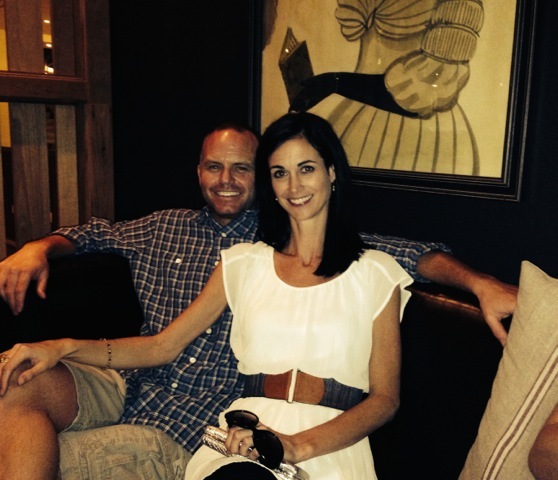 MSL: What inspired you to become a naturopathic physician? I became a naturopathic physician to be a part of someone’s journey to health. I want to inspire people to take control of their health and realize that they have the power within themselves to reverse disease. They do not have to rely on medication to get well, their bodies have the innate ability to heal. The best part is seeing someone become inspired, take control of their life and reverse disease. I have cried tears of joy numerous times as my patients share their health journey. It fills my soul and keeps me doing what I do. The biggest challenge are those that are not willing to 100% commit, because they may not see this transformation and therefore don’t believe that it can happen. MSL: You recently published your first book, tell us about it. The book is about how stress can actually change your body to the point that it causes disease. It takes the most common diseases in America and relates them back to the physiology of stress as a cause. The book addresses elimination of common symptoms such as insomnia, fatigue, hormonal changes, GI disturbances, cardiovascular symptoms and more, by supporting the adrenal gland’s reactions to stress with supplements, diet and lifestyle. The book was written to inspire people to be well, to teach them that our bodies can heal themselves, and prompt patients to seek WHY a symptom is occurring, rather than simply accepting it and suppressing it with medication. I am a Gemini, so I have multiple items I cannot live without! Picking one piece is tough! I really like funky jewelry and have to say that a necklace or ring added to a simple outfit always makes me feel better. My simple black flip-flops are a close second. 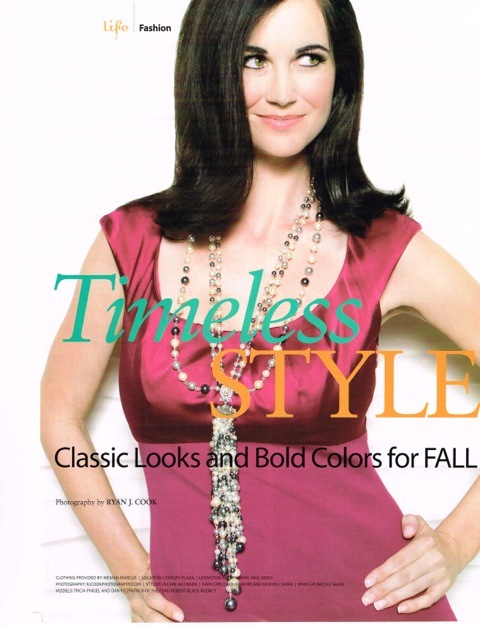 Tricia modeling for Phoenix Woman’s Magazine. Audrey Hepburn and her classic elegance are a big inspiration for me. I’d say she is the only inspiration that actually presents itself regularly in my style. I mix a little Hepburn with everything I put on, whether it be my hair, make-up or clothes. What I mix it with varies with my mood from traditional to edgy. 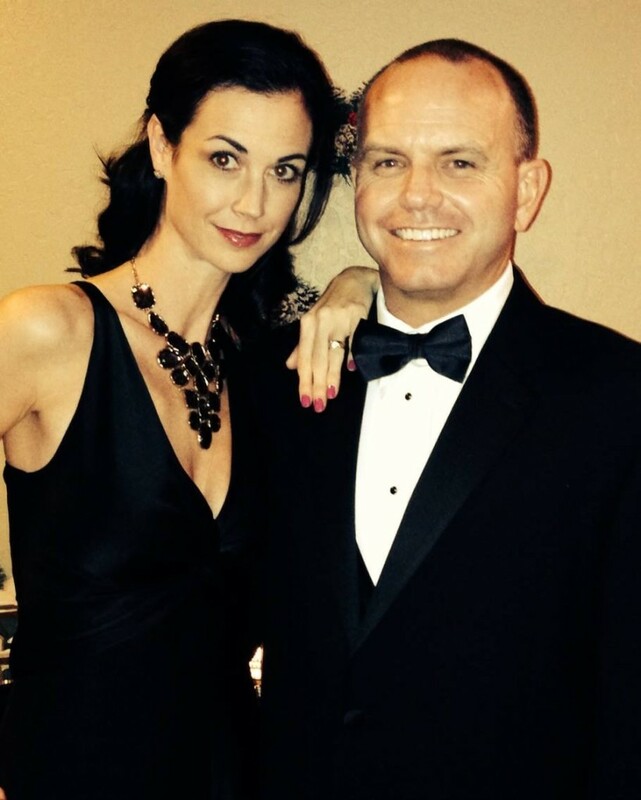 Tricia in her favorite LBD by BCBG and her husband on New Year’s Eve 2013. Keep it simple! I wash my face, brush my teeth, and then apply some tinted moisturizer, mascara and a dab of lip gloss. A ponytail or bun is a quick solution to looking put-together in minimal time. I usually plan my outfit the night before in my brain, so I know what to grab when I get up. Yes, I let them pick what they wear most of the time. The only exceptions are important, formal events, where I guide them more by teaching them how to match colors, wear colors that suit them, etc. Luckily, both my boys have developed their own style. Cameron prefers shorts and t-shirts that have a “skater” or “surfer” feel and flip-flops. Shea tends to choose preppy button-up shirts, jeans and cool shoes. He is very hip and has a definite gift for style! Both boys love styling their hair. 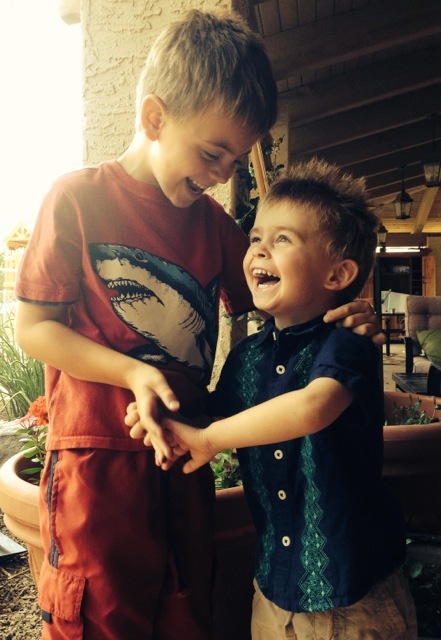 Cameron and Shea show off their style. 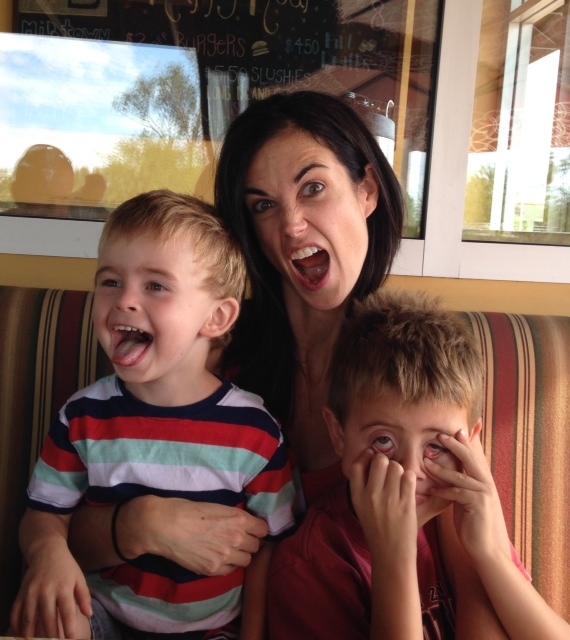 Tricia goofing around with her boys. True beauty and style comes from within. It really does not matter what you wear, but how you wear it. You don’t need to spend hours on make-up and hair to look nice. Keep it simple, clean and pulled together. Smile! Be confident! The positive energy you emit will result in praises of great style! ← New Book! Total Health Turnaround!